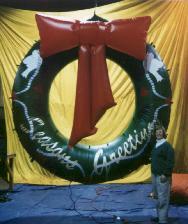 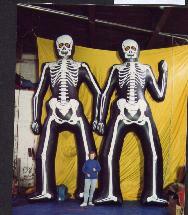 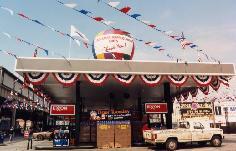 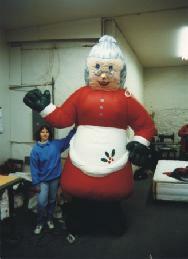 When you want to attract attention, boost sales, and bring in customers, rent a Sky Signs Giant Inflatable! 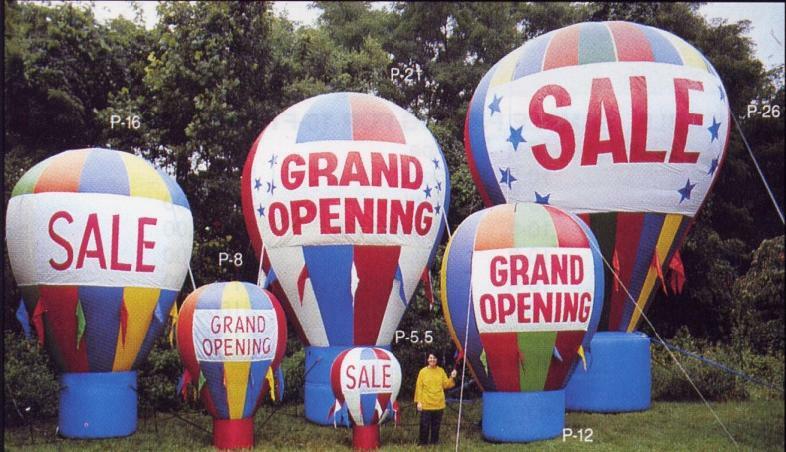 FACT: 70% of your customers pass by your location every week. 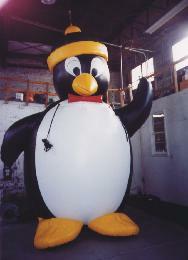 Make your business stand out. 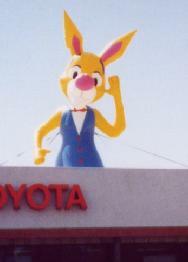 You need to be noticed. 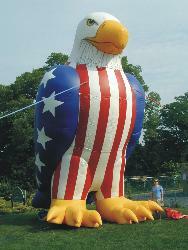 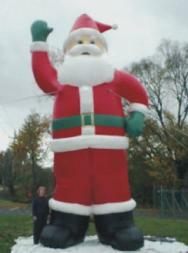 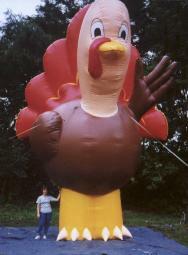 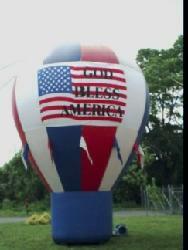 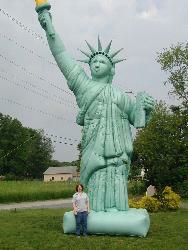 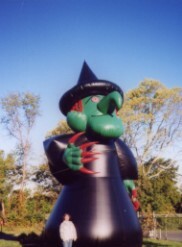 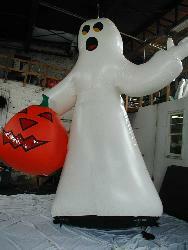 Our giant inflatables will be seen by everyone who passes your location, and they will feel welcome. 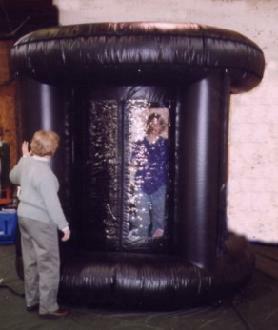 When you rent our equipment, we do all the the work - installation, monitoring, take down. 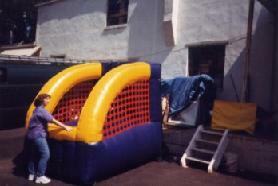 We have over 25 years experience and are fully insured. 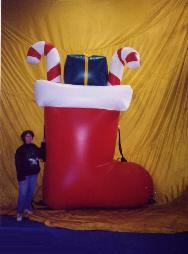 Inflatables need a constant source of electricity. 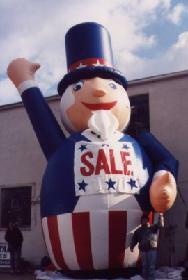 Call today and talk to our knowledgeable sales staff. 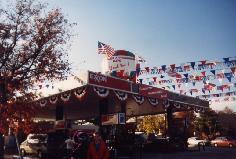 Decorate your location with Red/White/Blue Bunting and multi-color or red/white/blue pennants. 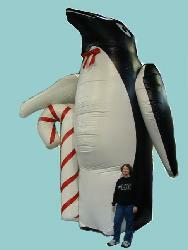 Other colors may be available with advance notice.